I can't remember if this is the second or third of these I've sold but if it comes up again I might just cut to the chase and make it a regular listing. 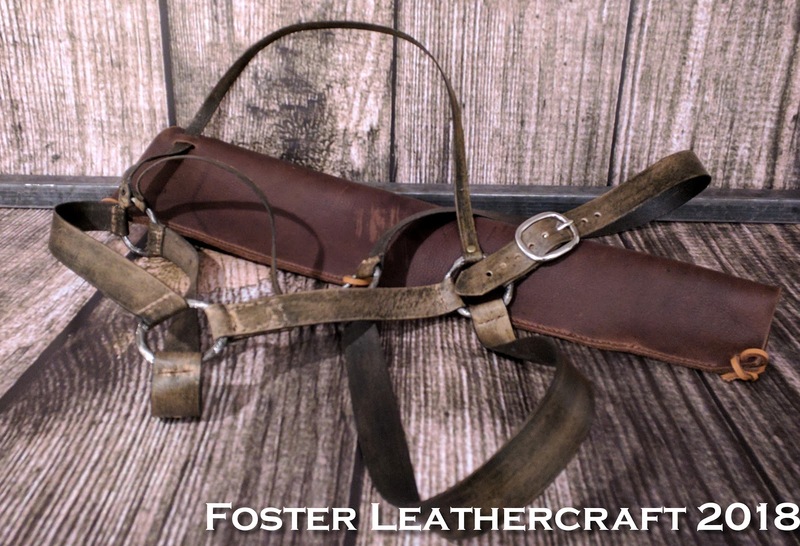 The client this time wanted to be able to carry an actual shotgun (as opposed to a plastic prop) so I made a few material substitutions to the original pattern. The fitting is still enough to turn my brain inside out and rub it wrong-ways down a washboard but it's a sturdy construction and the belt gives it some adjustment.